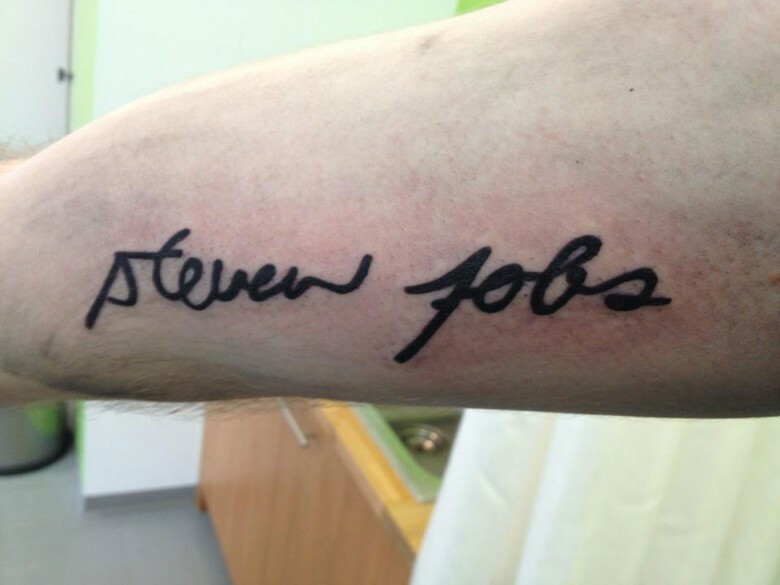 Grieving Apple fans took comfort in this tribute to Steve Jobs and turned it into a viral phenomena. The death of Steve Jobs was one such occasion. 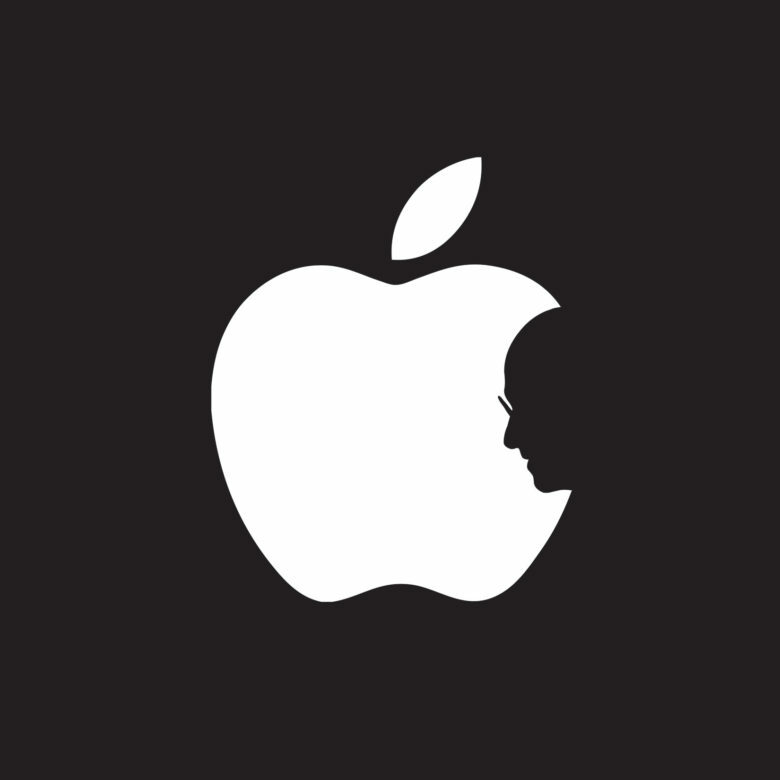 Within hours of the news, grieving Apple fans across the world took comfort in an image created by the then-teenaged college student of a silhouetted Jobs in the bite of the Apple logo. A kind of love that goes skin-deep. 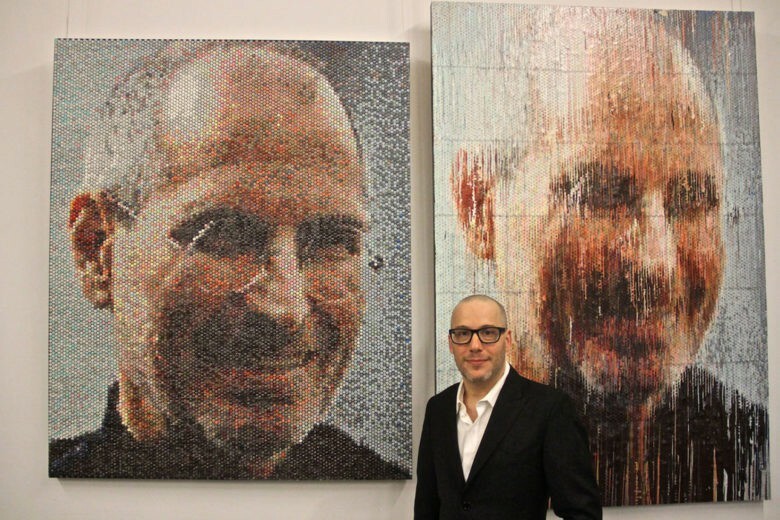 Steve Jobs had a way of getting under people’s skin. Still does, if you consider the growing number of Apple fans who have had his iconic face or some other Jobs tribute tattooed onto their skin. 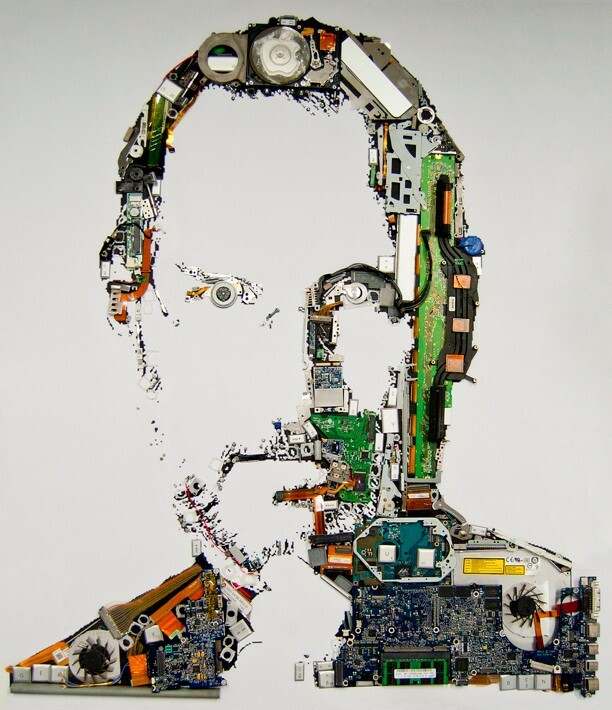 Today we celebrate what would have been the Apple co-founder’s 61st birthday by looking at body art inspired by the pioneer of personal computing.